I’ve created a new page to keep track of my X-wing Miniatures collection. Inspired by another person’s work I noticed on BoardGameGeek.com, I decided to make my own asteroid models for the Star Wars: X-wing Miniatures Game. 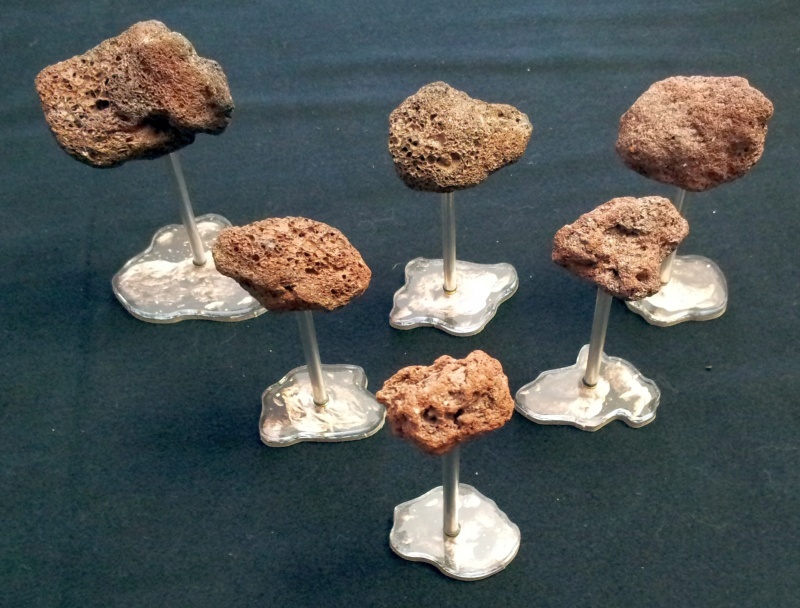 A company called Corsec Engineering makes and sells various goodies for use with miniature gaming, including acrylic templates for the asteroids in X-wing for use with their omni-stand rods. 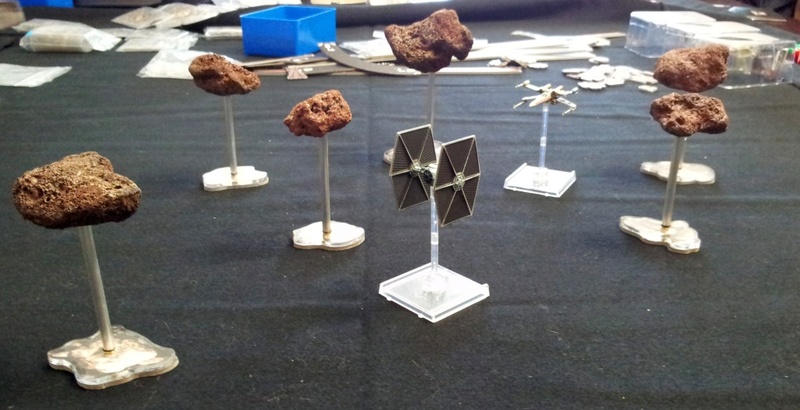 I bought omni-stand rods which were half an inch longer than the stands that come with the X-wing game in order to make the asteroids seem a little more imposing. 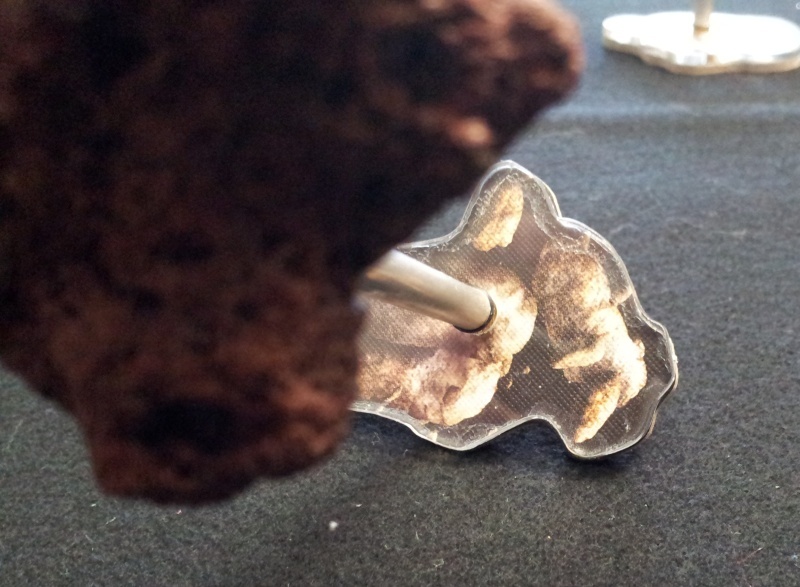 For the lava rocks themselves, I drilled a shallow hole into the underside and hot glued a metal nut into each one. I used PVA glue (i.e. regular white glue) to glue the asteroid tokens to the acrylic templates, applying the glue in a thin line along the edges of the token an using small clamps to fasten the acrylic template to it until the glue began to set.